CDW is committed to a work environment that is free from human trafficking, slavery and unlawful child labor in its supply chains. Our commitment to environmental and social responsibility and our respect for human rights is reflected in the values and high standards of ethics expressed in the CDW Way Code (our code of business conduct and ethics), as well as in other policies and employment practices throughout the Company. These standards remain at the core of every decision CDW makes, including decisions about its supply chain. Through our partnerships with suppliers and distributors that share our values, CDW encourages socially responsible citizenship. CDW purchases products for resale to our customers either directly from suppliers or from wholesale distributors. CDW partners with suppliers and distributors who share our commitment for ensuring that supply chains reflect CDW’s high standards for business ethics, integrity and respect for human rights. CDW identifies and utilizes suppliers who share CDW's commitment to ensuring the absence of slavery and human trafficking. CDW expects its suppliers to operate their businesses in compliance with all applicable laws, including those related to employment and labor, and to maintain lawful environmental, health, and safety practices that meet or exceed all applicable laws and standards. CDW relies on its suppliers to self-audit or monitor their supply chains. 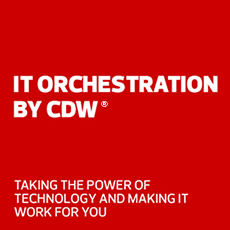 CDW does not require written certifications from suppliers expressly confirming and verifying their compliance with slavery and human trafficking laws, but retains the right to discontinue its relationship with any CDW supplier or business partner who does not comply with any law or labor standard. To further ensure that CDW’s supply chain reflects its standards for business ethics, integrity and respect for human rights reflected in the CDW Way Code, CDW has internal accountability standards and procedures for coworkers and contractors who fail to meet these standards, up to and including termination of employment and of the supplier’s contract with CDW. CDW also conducts ongoing training for our coworkers on the CDW Way Code, which includes training on respect for coworkers and practices for ensuring a workplace free of harassment and unlawful discrimination. CDW also maintains an Ethics Helpline, available 24 hours a day, 365 days a year, for anyone to report possible violations of law, the CDW Way Code, or other policies by coworkers and other third parties, including suppliers.